This truly innovative mobile app allows users to turn their device into a speed camera and see exactly how fast they kick a football. The app guides your through the process of setting up the kick so that the app is capable of accurate detection. You will firstly start by selecting if you are right or left footed and then the app provides a frame overlay that you must position the ball over your resting soccer ball. 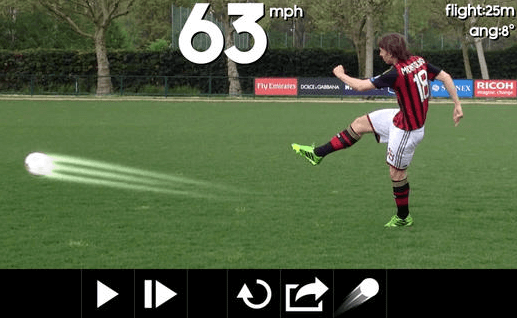 Once setup its all up to the kicker and the app to track the overall speed, angle and estimated kick distance. It even records your kick and replays it back to you in super slow motion. The app makes it possible to showcase a variety of Biomechanical concepts and would also work well included in a Football (Soccer) Unit. Your students could work together to see how the speed of their kick alters with various situations such as with their opposite foot. A FREE app well worth checking out. One of the most popular apps shared in general conversation during the ConnectedPE Workshops has been Webscorer. This app is the swiss army knife of race timing, allowing everything from the registration right up to the sharing of results. Users can import Start Lists and conduct mass, wave, interval, individual or pursuit style races all from the ease of a single iPhone or iPad. As racers finish, the officials simply tap their race number or name to complete the recording. This app is the perfect solution for your anyone looking to improve the efficiency of their races. 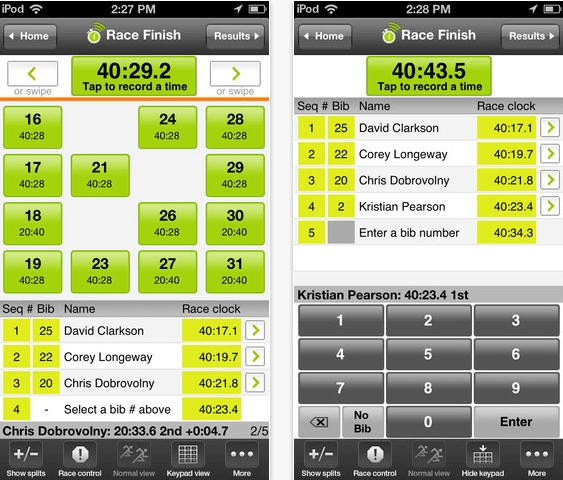 The app is available in two versions – Webscorer FAN which is FREE and can be used time a simple mass start race & post the results or Webscorer Pro which is the full featured extensive version currently set at $49.99 a year. A super cool app designed for younger students to learn about the human body. Use the app to xxplore a working model of the body where every part is animated and interactive: the heart beats, guts gurgle, lungs breathe, the skin feels, and eyes see. Connect it to a larger screen for heaps of fun exploring the body and all its wonder. Guaranteed to please younger students, check it out in the video below. AFL Pro is the number one coaching and teaching app on the market. 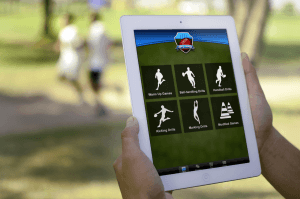 The app has been designed for AFL (Australian Football League) coaches and PE teachers to help plan and execute fun, exciting and engaging practical sessions. With over 100 drills, skills, tactics and modified games, AFL Pro has everything for begins right through to accomplished players. For those outside of Australia, this app will provide you with everything you need to know to introduce it as a unit within your curriculum. Check out the other top app lists here – Part 1 – Part 2 – Part 3 – Part 4– Part 5 – Part 6 – Part 7 – Part 8 – Part 9 – Part 10 – Part 11 – Part 12 – Part 13 – Part 14 – Part 15 –Part 16 – Part 17 – Part 18 – Part 19 – Part 20 – Part 21 – Part 22 – Part 23 – Part 24 –Part 25 – Part 26 – Part 27 or grab the PE Apps eBook for a great one stop collection of the best PE apps. Thanks for the great web site!!! Question, when I try and get the Adidas snapshot app, it says it’s not available in the US. Is there anyway I can get this?? ?